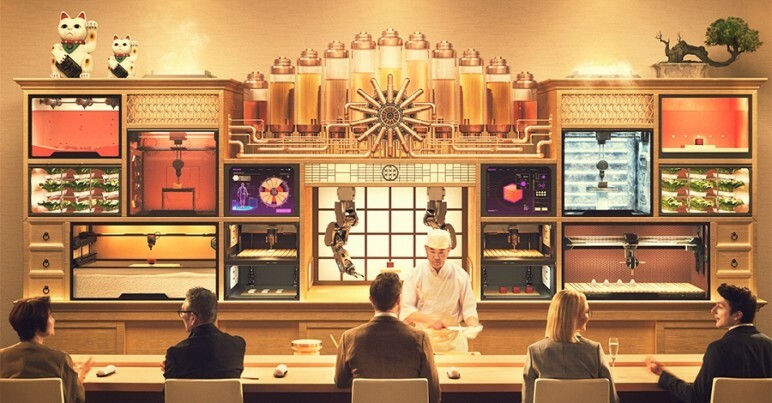 The most important announcements and news from the second week of April in the 3D printing industry: Here are the newest projects, machines, new materials, strategic business moves, and start-ups. As additive manufacturing continues to mature, certifications become of increasing importance. AREVO has announced that it will be 3D printing a bike frame through a partnership with Franco Bicycles. 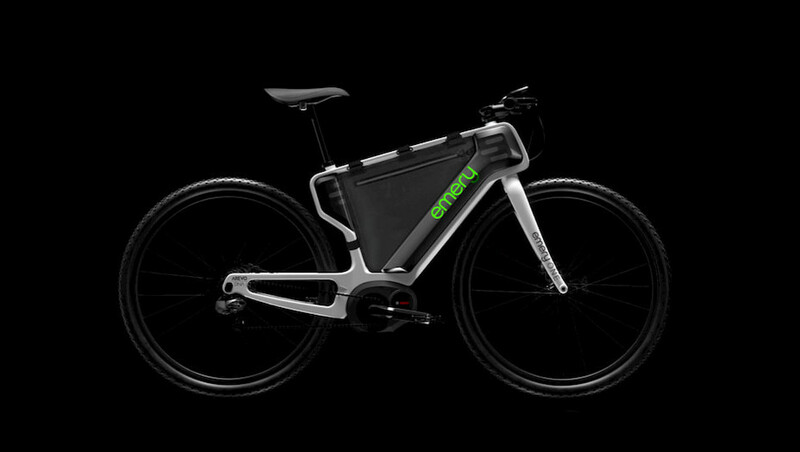 The advanced frame is a unibody design and, according to the company, is the “world’s first” to be 3D printed in continuous carbon fiber as a single-piece unibody frame. 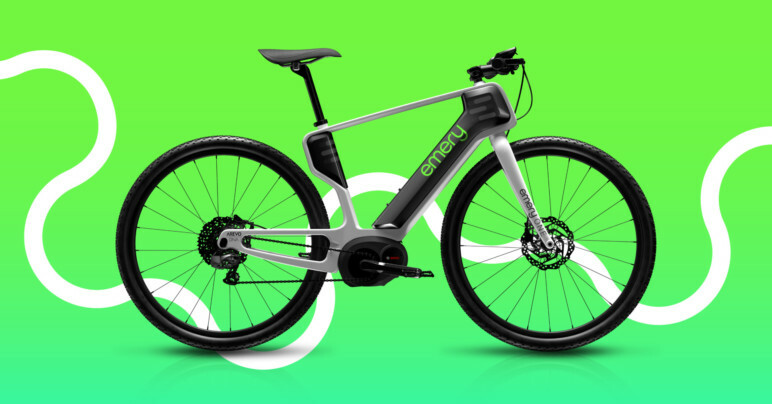 By no means bicycling’s first foray into 3D printing, the frame is interesting in that the unibody construction allows for the design to leverage the important component-reduction benefit of additive manufacturing. Further, the design-to-manufacture time frame is reduced: AREVO says from 18 months to “just a few days”. The frame is for a new line of Franco’s Emery brand e-bikes, in production now at volume. A call for SMEs in the European Union sees €300,000 dedicated to furthering 3D printing. “3D Printing is a key technology for the future of the EU as long as it has a great potential for creating jobs whilst helping to fight transport costs, CO2 emissions or in-built obsolescence.” So said a report last year from the European Parliament. In a nod to the importance of additive manufacturing in EU business, the AMable call is allocating funds to SMEs ready to “enhance competitiveness” in the 3D printing sector. The call, open until June 1, is looking to finance work in “Feasibility Studies” and “Good Practices” as “application experiments” are in focus to further next-generation technology. 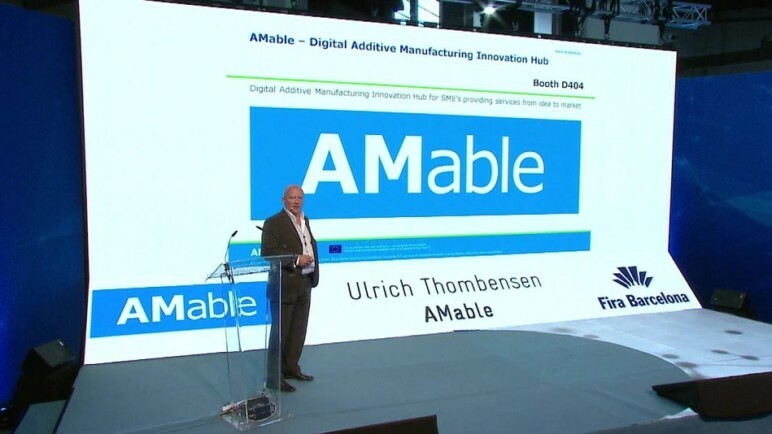 AMable will also provide “a series of side benefits” for upskilling in design for additive manufacturing, technology development, business development, and education. XYZprinting is upping its focus on classroom 3D printing. As a case study for their 3D printers in educational settings, XYZprinting shares the story of the Stockbridge InvenTeam from Michigan. Such story like The Ezra Project is just one of the many stories that show the importance to nurture young talents for the future. XYZprinting’s decision to invest in the STEAM 3D Education Program is to give schools easier access and the right tools in introducing 3D printing in the classroom. We hope that through this program we can encourage a generation of creators and problem solvers of the future, that will continue to bring a positive impact in the community,” said Vinson Chien, Director of XYZprinting US. Sandvik created a smashing guitar — that can’t be smashed. “When the guitar was finished, Sandvik gave it to Malmsteen to play. 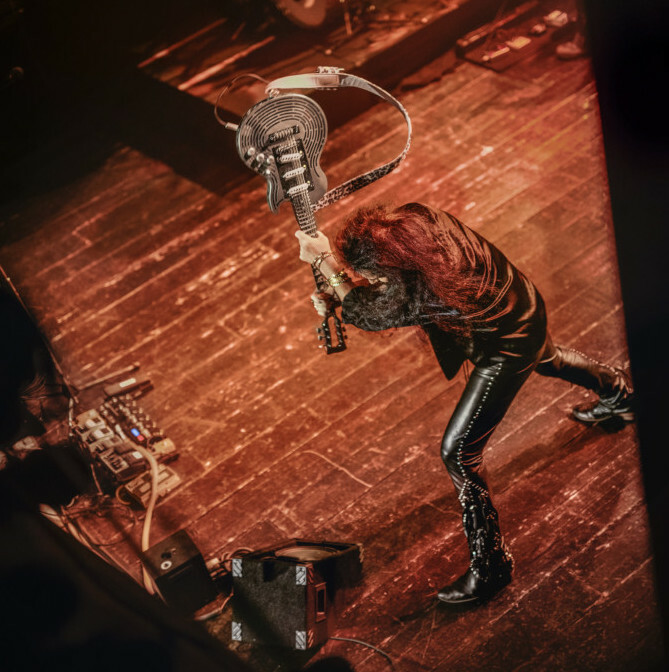 At a club in Florida, Malmsteen ripped through several songs, then started swinging the guitar at amps, at stage structures, at the floor, doing his very best to smash it. Stratasys’ MakerBot subsidiary is also in the news this week, launching a new education-focused certification program. “We are excited to announce the MakerBot Certification Program for Students to provide them with 3D printing skills training. 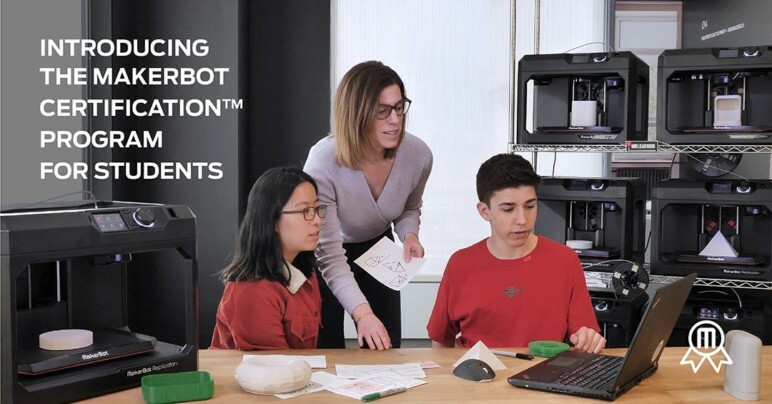 This program will not only help them to develop critical thinking skills and how to innovate with a MakerBot 3D printer but also enable educators to integrate 3D printing into their curriculums further,” said Nadav Goshen, CEO of MakerBot. Dyndrite has emerged from stealth, introducing its new advanced geometry kernel and developer program, along with news of a healthy funding round. Dyndrite is emerging following 3.5 years of quite development. 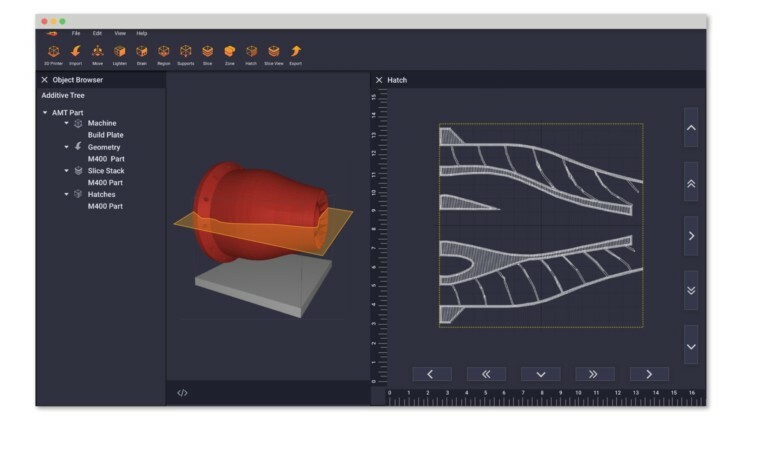 The Dyndrite Accelerated Geometry Kernel (AGK) and Dyndrite Additive Toolkit built from it offer a GPU-native geometry engine for additive manufacturing. I had a demo of their tech, which can be run easily and quickly on a simple business laptop — and this is a technology to watch. The team developed their kernel to be for 3D printing what Adobe and PostScript were for 2D printing in the ‘80s. The Dyndrite kernel offers C++ as well as English-readable Python APIs, designed for efficiency. Streamlining the CAD-to-3D-print process is a major step forward for additive manufacturing. The STL file, a mainstay in DfAM, is becoming something of a legacy file type; direct work with CAD data can offer significant benefits. But don’t take Dyndrite’s word for it; a quick look at some of the company’s early partners shows some big names. The Dyndrite Developer Program and Council includes Aconity3D, EOS, HP, NVIDIA, Plural Additive Manufacturing, and Renishaw. Backers in Dyndrite’s $10+ million Series A funding round include leader Gradient Ventures (Google’s AI-focused investment fund) as well as Cota Capital, Amplify Ventures, The House Fund, and private investor and former Autodesk CEO Carl Bass. Also emerging from stealth this week is AddiFab, with a new production process. This brings 3D printing into mass production, or conversely, brings injection molding into lower-volume production. The complex geometries of 3D printing are also now compatible with the significantly larger materials portfolio available for injection molding. 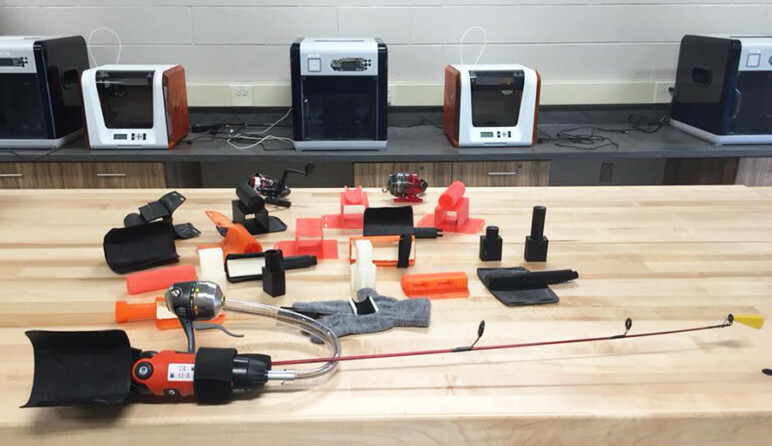 A new support material and new materials facility keep the focus on 3D printing materials. NatureWorks has introduced a new breakaway support material, Ingeo 3D450, for dual extrusion 3D printers. Designed to work with Ingeo 3D series materials in professional 3D printing, the new material offers a fast, clean breakaway for faster post-processing. Because it is designed to break off rather than be dissolved away, large-format 3D printing can benefit as there is no size concern in submerging finished prints. “This new capacity, which has been brought online on schedule, will enable our customers and their customers to better meet the future demand for ever more efficient materials. We thank our customers, our partners and the users who have trusted us and very early on selected Kepstan PEKK in their respective markets,” said Christophe André, Vice President, Advanced materials for Arkema. A big-name partnership and a new executive appointment highlight recent moves in business positioning. 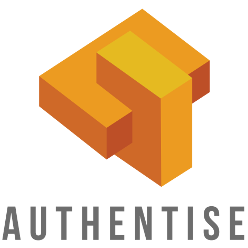 Authentise has announced a partnership with Microsoft. Focusing on automation to empower operators in additive manufacturing, the move integrates Authentise’s workflow management system into Microsoft Flow and brings Microsoft Azure capabilities to Authentise customers. The Flow integration goes live this week with a big goal: for operators “to create their own automations without any coding knowledge.” Drag-and-drop and other easy-to-use tools can set up operations workflows, and Authentise sees this as a big move to “put power into the hands of operators,” as CEO Andre Wegner says. This is a mission Microsoft is on board with, to enhance the creativity in additive manufacturing. 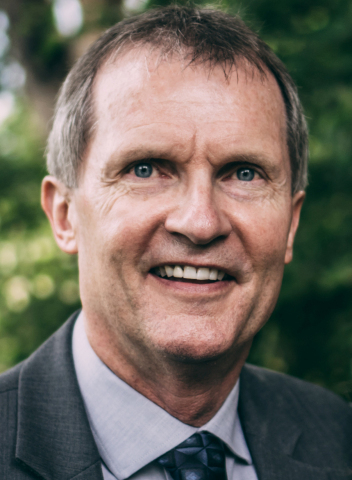 Printed Solid has announced a new CEO. David Randolph, who came onboard the Printed Solid team as part of the company’s 2017 acquisition of Ranlaser. The former Ranlaser owner became a Co-Owner and COO at that time. Now in a move that Printed Solid says allows Founding CEO Matthew Gorton to focus on work/life balance, Randolph has purchased Gorton’s shares and will assume the CEO mantle as of March 29. For his part, Gorton will take on Maker Box, which Printed Solid acquired in 2018, and separate it into an independent company as his primary focus. Two European companies welcome major investments this week. Netherlands-based 3D Hubs announced an $18 million investment. The Series C funding round will set the company to accelerate its path toward on-demand manufacturing — which, until last year, was focused around 3D printing. Now with a fuller suite of manufacturing solutions, the business plan seems to be paying off for the company as 3D Hubs can increase its focus on automating the production of end-use parts with faster lead-times, more accurate quoting, and assured structural integrity of parts. Barcelona-based BCN3D has really come into its own. So much so that a just-announced $3 million funding round is enabling the spin off into its own independent company. Now as an independent company, the new BCN3D counts as its founders CEO Xavier Martinez Faneca and executive team Roger Antunez, Pol Domenech, Marc Felis, Jose Antonio Ortega, Eric Pallares, as well as tech advisor (and former CEO) Roger Ucenda. “We are working on a new range of products to improve the experience of our clients and take the IDEX to a completely new level” stated BCN3D’s CEO Xavier Martínez Faneca. “With this funding, we will be able to ramp-up our production to meet the market demand and cut down the long delivery periods we have experienced in the past due to production limitations”. HP Inc. has announced a hefty milestone for its Multi Jet Fusion technology. In 2018, more than 10 million parts were 3D printed with MJF. The first Jet Fusion 3D printers were unveiled in 2016, with volume shipping ramping up in 2017. For the first full year of market penetration, 10 million parts made is a quantity that can turn some heads. And it’s only the start for HP, which has vowed to disrupt the $12 trillion global manufacturing technology. Last year the company introduced new 3D printers: at SWW, the 500/300 Series of color-capable prototyping-focused Jet Fusion machines and, at IMTS, the highly-anticipated entry into metal 3D printing with Metal Jet systems. 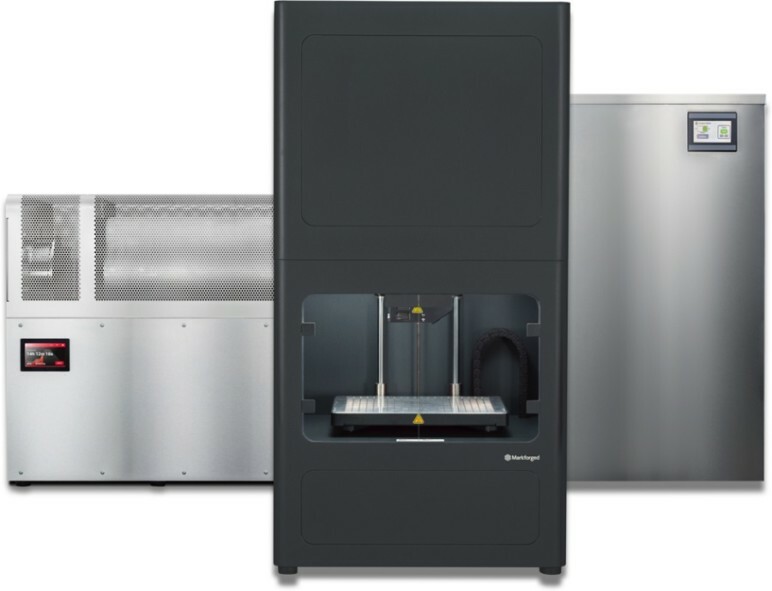 These new systems are set to ramp up the HP-3D printed numbers, as the Jet Fusion 500/300 3D printers are now shipping in volume and the Metal Jet Production Service is now widely available. “More than 10 million parts were produced on HP’s Multi Jet Fusion technology in the last year. We are seeing an explosion of new applications across industries taking advantage of the design freedom, superior economics, speed, and industrial-grade quality unlocked by HP and its partners,” said Christoph Schell, President of 3D Printing and Digital Manufacturing, HP Inc. The $82 million Series D funding round brings new and existing participation. Led by Summit Partners, the round also saw further investment from Matrix Partners; M12, Microsoft’s Venture Fund; Next47; and Porsche SE. The substantial boost is set to see the company continue to invest in new products and global presence. 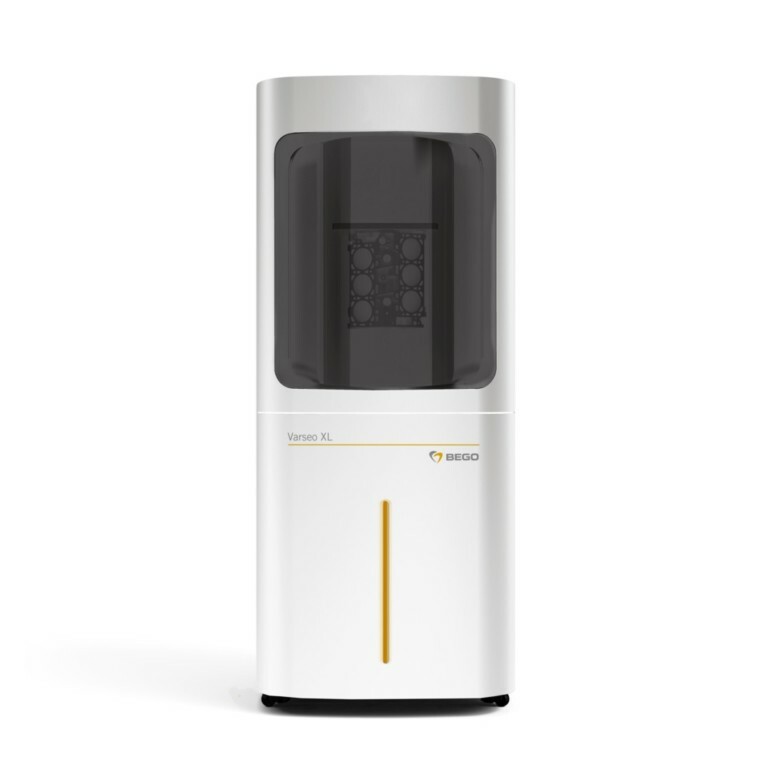 Markforged is poised to accelerate the expansion of its materials portfolio, particularly exciting for Metal X users, and to open new offices in Dublin and the Asia/Pacific region. “We have been actively monitoring the additive manufacturing market for the last decade and are excited to partner with the Markforged team,” said Michael Medici, a Managing Director at Summit Partners who has joined the company’s Board of Directors. Digital manufacturing still has quite a paper trail. With its new app, Authentise seeks to extend the digital thread from printers to post-processing. 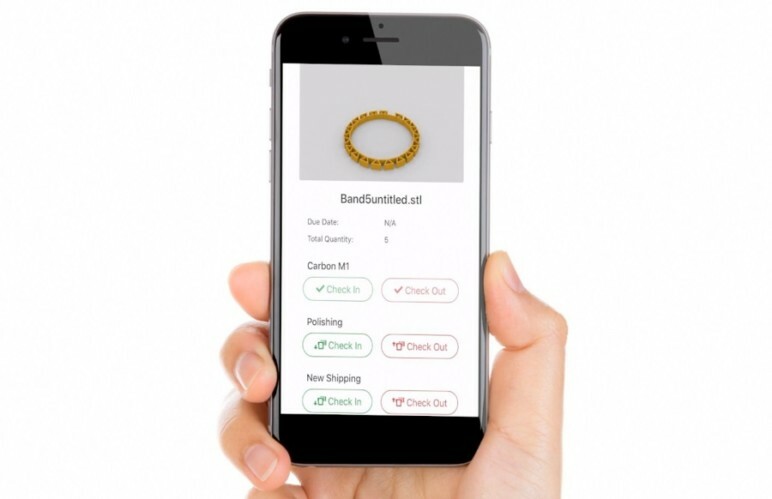 QR codes embedded on travelers will allow operators to move more easily through the stages of additive manufacturing, tracking progress and increasing traceability. Upon launch, functionality includes data that can be used in Authentise’s Machine Learning algorithms to improve estimates for time and quality. Future updates will include more functionality: adding notes, interacting with process steps, and more. The trial release via Google Play and the web will be soon. “Despite the fact that additive devices are nearly entirely digital, the entire process is far from it,” says Andre Wegner, CEO of Authentise. 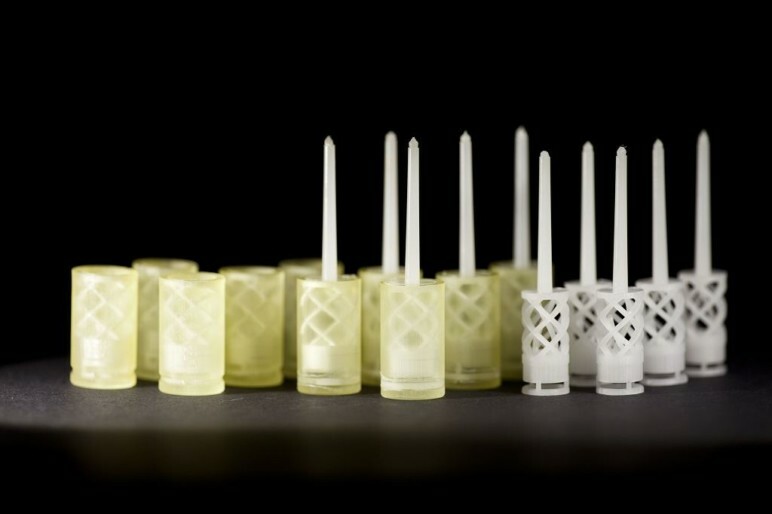 Protolabs continues to look toward design for additive manufacturing (DfAM). The service provider, which has previously worked with MIT, is now teaming up with Wohlers Associates for a new DfAM course. The immersive course will leverage expertise from both teams, including Associate Consultant Olaf Diegel and Principal Consultant and President Terry Wohlers of Wohlers Associate, as well as Protolabs engineers dedicated to polymer and metal additive manufacturing technologies. The course is invitation-only, running three days in North Carolina and concluding at Protolabs’ 77,000-square-foot AM facility. SABIC and PostProcess Technologies have new introductions for post-processing. 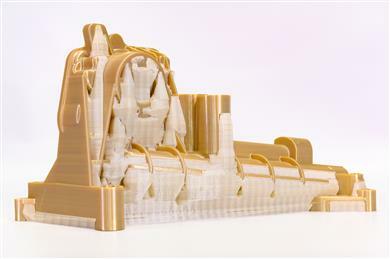 Introduced at formnext 2018 and launched this week, SABIC’s new breakaway support material, AMS31F, enhances ease of post-processing for 3D printing done with ULTEM. The high-temperature material generally requires significant post-processing, with support removal generally requiring reheating. With AMS31F, supports break away at room temperature. The material is also a color that starkly contrasts with ULTEM’s trademark amber hue for quick identification to further speed the process. “PostProcess’ latest innovation of the most advanced SLA resin removal solution in the world reinforces our commitment to providing the AM industry with transformative post-printing solutions enabling the market to scale”, commented Jeff Mize, CEO, PostProcess Technologies. Victrex and Bond partner up for PAEK part performance. Without specific numbers named, the partnership is in “a multi-million Euro investment” as Victrex works with Bond High Performance 3D Technology. Also covering PEEK printing, the high-strength materials take center stage for the strong deal. “Our investment in Bond’s 3D technology is a logical way to accelerate 3D printed PAEK/PEEK parts to market. 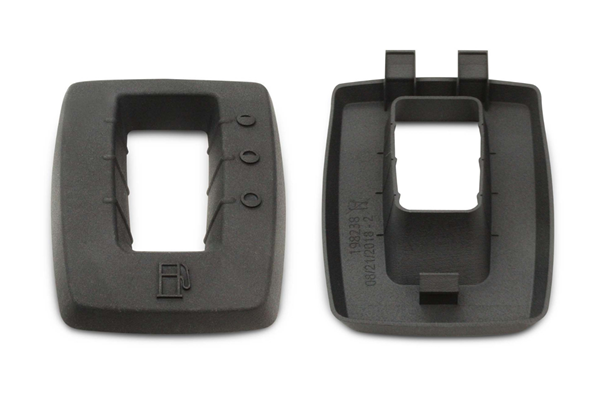 We need to ensure that all the key elements, including material, process, and hardware are aligned to fulfill our goal of enabling our customers to manufacture 3D printed PAEK components for critical high-performance applications. We’re now at a stage where the technology is sufficiently developed to embark on exciting development programs,” Jakob Sigurdsson, Victrex CEO explained. 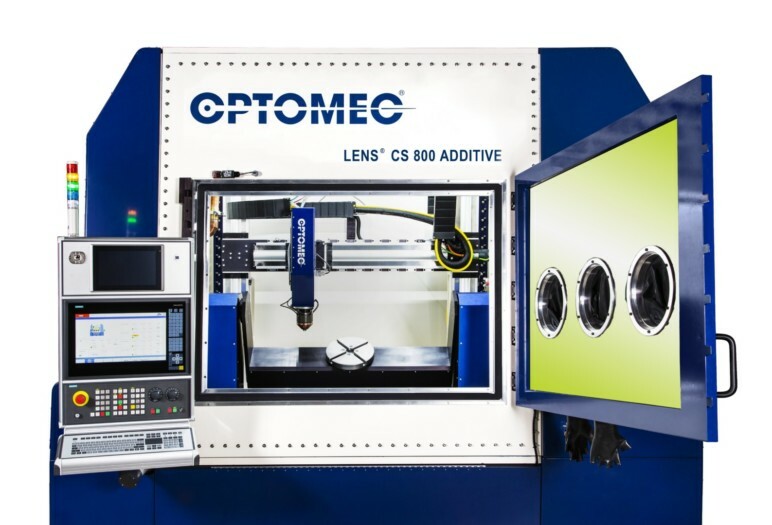 The LENS CS 600 and CS 800 Controlled Atmosphere (CA) DED systems are configurable new additions to the company’s Laser Engineered Net Shaping (LENS) Classic System Series. Both machines are already available and shipping has begun. The systems have base features including controlled atmosphere chambers and a Siemens 840D controller for three- (standard) or four- or five-axis motion. Configurations can be adapted for customer preference, as users can adjust the setup with a “user interchangeable rotary table and/or tilt-rotate trunnion for four and five-axis operations.” Further, the new machines are compatible with the newest LENS deposition head for laser power processing up to 3 kW, interchangeable print nozzles, and variable spot sizes. Seattle’s soon-to-be skyscraper will become the city’s second-tallest building with a unique shape built with 3D printed nodes. If viewers of How I Met Your Mother took anything away from the sitcom other than annoyance at the series finale, it may well have been that building a skyscraper is a major job. Rainier Square Tower is set to reshape the Seattle skyline next year with some interesting geometry. Creating the exterior curtain wall (nonstructural outer covering) of the building has proven to be a bit of a challenge in manufacturing for Walters & Wolf — which found a solution for one component in 3D printing. The company teamed up with 3Diligent to find a solution for a cladding system that requires V-shaped nodes necessary for each floor of the building — which, due to the slope, required that all 140 needed to be made uniquely with different dimensions. 3Diligent suggested either investment casting or 3D printing to create the aluminum nodes; following testing of both types, Walters & Wolf team selected 3D printing “because of the dimensional accuracy and structural reliability it gave us,” as W&W designer Jon Ishee explained. 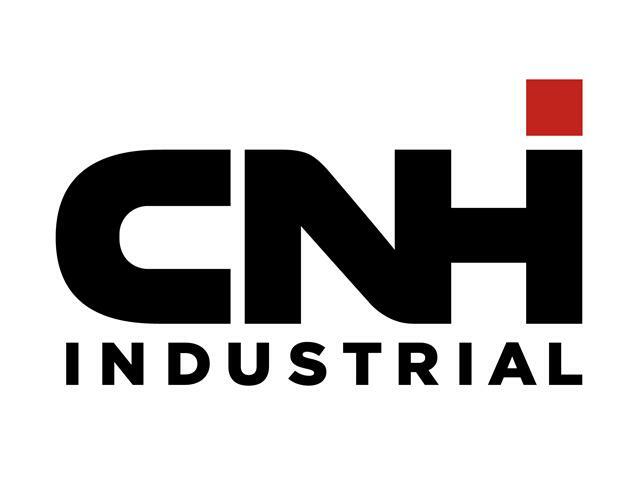 CNH Industrial is the latest company to announce a move toward 3D printing for spare parts production. Four plastic parts for buses and agricultural equipment are the first components planned for CNH’s new 3D printing strategy. The company notes that it is “committed to further investigating the potential of Additive Manufacturing with the aim of producing a full range of parts and promptly respond to all types of needs at every stage of the product’s lifecycle.” Future plans include metal 3D printing, which the company is currently testing for more components. Adoption of 3D printing for spare parts creation has many benefits for companies. 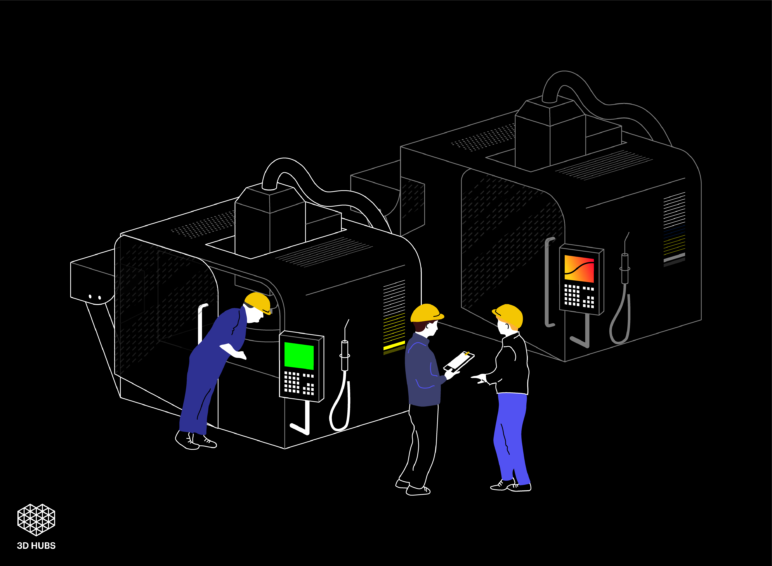 CNH specifically cites sustainability advantages, energy usage, rapid availability, local and on-demand manufacturing, and a fit with small order quantities as among its reasons for integrating additive manufacturing into operations. 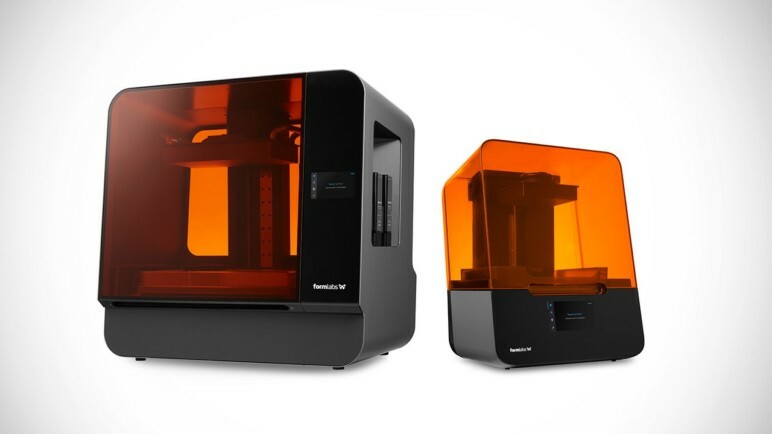 Materialise and Stratasys have announced financials for 2018. 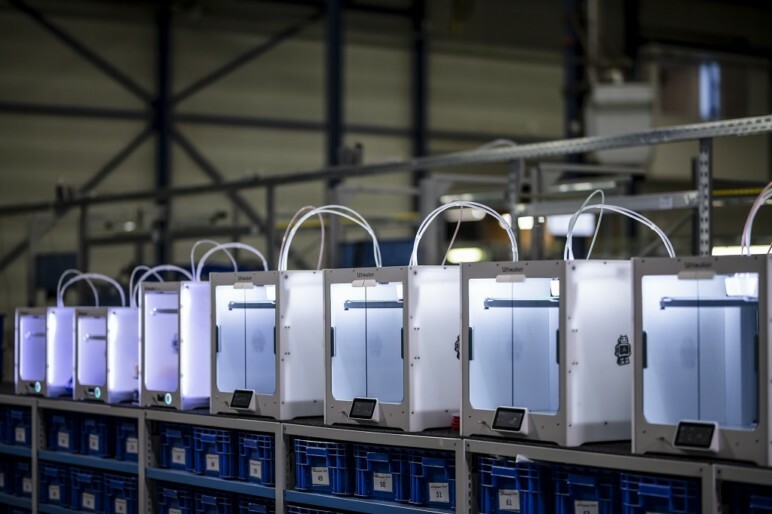 Materialise reports an impressive total revenue increase of 29.6% for 2018 as both full year and Q4 results show promising upticks. The most significant percentage gains were in the materialise Manufacturing segment, with a 49.0% increase in 2018. Strong growth was also seen in the Materialise Medical segment, with 22.0% growth over that period. Perhaps surprisingly for a company well known for its software was the relatively slow 4.5% growth in the Materialise Software segment. Stratasys reports a $663.2 million revenue for 2018 (down from $668.4 million in 2017), and $177.1 million for Q4 (down from $179.3 million in Q4 2017). The company says its $63.7 million in cash from operations in 2018 is a record. Despite a second fiscal year of revenue drops, the company says they are “pleased” with the performance and are looking forward to a promising future. 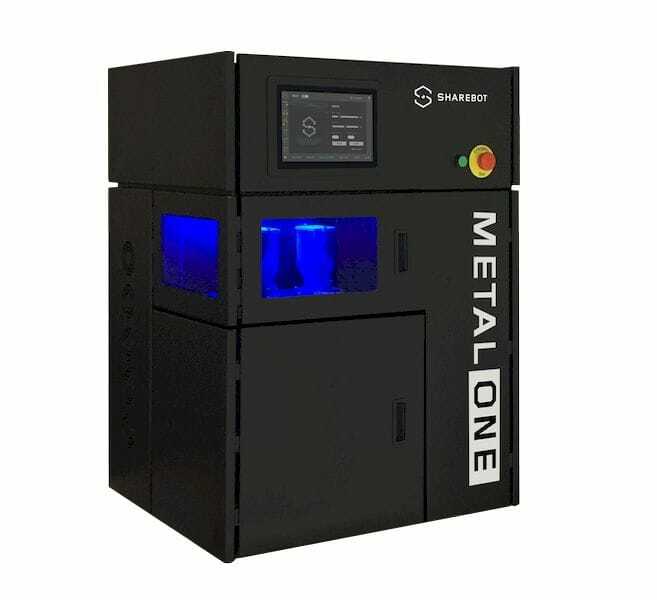 With the company’s metal technology to continue toward the market, we can expect to hear much more from Stratasys in 2019. 3D printing materials are expanding as a service bureau adds technology and a 3D printer manufacturer deepens a materials partnership. 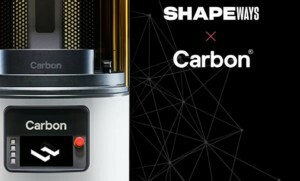 “We are thrilled that through our partnership with Shapeways, we can make the Carbon Platform accessible to more businesses around the world,” said Dana McCallum, Head of Production Partners for Carbon. Early this year, Boston-based Fortify announced a new investment and a partnership with DSM for its open materials program, the Fortify Fiber Platform. This week, we see more details emerge on the materials work between DSM and Fortify. The companies have announced that they will be developing high-performance composite materials for the 3D printing of structural parts. Fortify’s Digital Composite Manufacturing (DCM) platform features an interesting resin-based process that can work with strong materials. For its part, DSM is only deepening its commitment to additive manufacturing, working with a growing number of partners in the industry. Open materials platforms enable more development for what users are actually using, and help hardware companies leverage the expertise of the world’s materials giants. 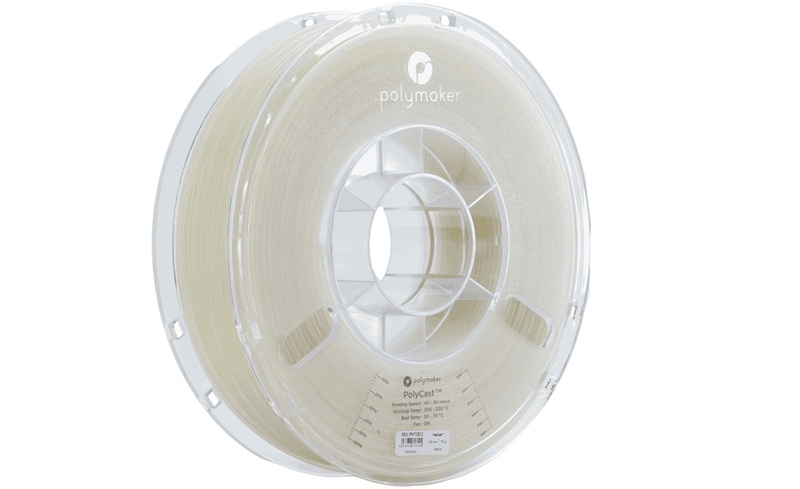 PolyCast filament by Polymaker. (Source: Polymaker)3D printing and investment casting already have a long history, and a new offering is set to continue advances. The Large Metal Cast and Precision Metal Cast Bundles, both available immediately, each target different needs for those looking to create 3D printed casting patterns. The Large Metal Cast Bundle is centered around a TAZ 6 3D printer and can create 3D printed patterns up to 280 x 280 x 250 mm in size. The Precision Metal Cast Bundle focuses on the smaller Mini 2 3D printer and can create finely detailed patterns. Both include appropriate tool heads and reels two (Precision) or four (Large) 750g reels of PolyCast filament. A new patent for secure streaming and monitoring for digital manufacturing has been approved. “TL;DR: Authentise’s patent, focusing on increasing intellectual property and integrity protection in digital manufacturing through streaming, has just been approved. We’re in the technology game, not the patent game. Nevertheless, we think this patent is important to guide the industry forwards,” Authentise CEO Andre Wegner explains in brief. Phew. Closed-loop is a common workflow in traditional manufacturing but remains somewhat elusive in additive manufacturing to date. Authentise’s work adds to that step forward. Wegner says that “the patent was a foundational piece of our early days,” indicating the company’s longstanding dedication to a future of distributed manufacturing and data-enabled manufacturing processes. Technology from the patent will be available as an add-on module to the company’s Additive Accelerator. Available now on Cura, though, are new print profiles for materials from Essentium, eSUN, and Polymaker. As Cura continues to increase its holdings of specific material print profiles, users will be able to add to their understanding of the materials, including engineering-grade, they can use on their desktop 3D printers. New material profiles include Ultrafuse Z PCTG (Essentium); PETG, ePA-CF, and HIPS from eSUN; and PolyMide PA6-CF, PolyMide CoPA, and PolyCast from Polymaker. FARO Technologies and Thor3D are rolling out introductions to enhance the 3D scanning workflow. FARO RevEng is a new software platform designed for use with the FARO Design ScanArm and FARO 8-Axis FaroArm to aid in reverse engineering. Reverse engineering can be a complicated process, and easing the steps starting from the beginning with scan-to-design capability is a big help. RevEng captures and generates point clouds, then converts these into meshes that can be edited and used for design or 3D printing. The product is designed with seamless workflow in mind. XPRIZE is well known for major challenges — and major awards. This is expanding now in digital manufacturing technologies with a new partnership. Xponential works is now the “official partner for all generative design and additive manufacturing” for XPRIZE. It’s a pretty major deal, as the announcement notes that “XponentialWorks has agreed to provide free, unlimited 3D printing for the XPRIZE Foundation and all registered teams across its current and future competitions.” When they say unlimited, they mean it; the partnership will be ongoing in perpetuity so long as XponentialWorks continues. Effective this week, any registered and confirmed team, anywhere in the world, competing for a current XPRIZE can receive 3D printed parts from XponentialWorks. This should be a major benefit for the generally early-stage companies that participate in XPRIZE challenges — and would benefit from faster iteration periods to test new prototypes. The US Army has long turned to 3D printing, and shares a look into the impact on logistics. 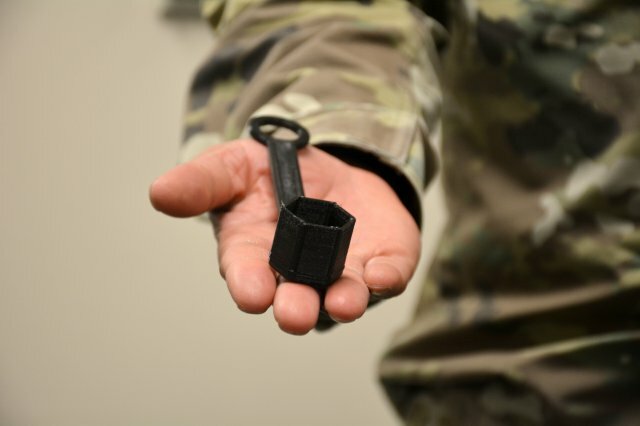 The 2019 Military Additive Manufacturing Summit and Technology Showcase featured the Army’s current 3D printing capabilities. Held early this month in Florida, the summit brought together military officials with academia and industry. This year is interesting for US military operations as the Army reports that its Illinois-based Center of Excellence for Additive and Advanced Manufacturing is slated to reach initial operating capability in 2019. 3D printing sees extensive use in military operations, including at such centers, on bases, and with troops deployed in the field. 3D printed spare parts are a major use of the technology, as replacement components can be created on demand and at a lower cost. Future applications are expected to expand, even as the Army turns increasing focus to existing challenges. Intellectual property, cybersecurity, standardization, and certification are among these issues, and the Army is ready to put the work in. “This takes a lot of labor, and there is a price tag on that, but this is crucial for Soldier safety,” Lt. Gen. Aundre Piggee, the Army’s deputy chief of staff, said. “Logistics will be contested in every domain. We need every innovation to set a theater and sustain Soldiers in future missions — whether it is artificial intelligence, autonomous vehicles dropping off supplies, or a 3-D printer at the point of need,” Piggee said. Start them young. For STEM/STEAM education to help ready the next generation for careers in science, technology, engineering, arts, and mathematics, curricula need to embrace new technologies. 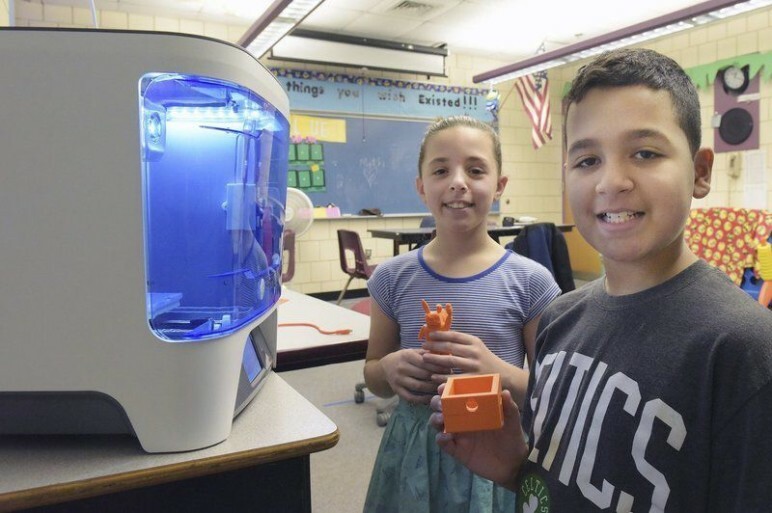 Massachusetts’ Silver Hill School elementary students are working with 3D printing and other advanced tech — robotics, CAD, programming — and expressing enthusiasm. 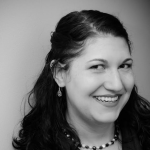 Math specialist Jennifer Donais has been working with students, including third graders in a robotics competition and fifth graders putting 3D printers to use. “The kids love it,” Donais said. “They are constantly asking, when are we doing 3D printing again?” Using TinkerCAD, the fifth graders are getting used to designing their own educational toys and other projects and gifts. The district worked with PrintLab to invest in seven 3D printers in the high school and elementary and middle schools. Going a bit older, we also see more in the headlines this week from higher education. Clemson University and GE are coming together in a strategic partnership with a new Additive Manufacturing Lab at GE Power’s Advanced Manufacturing Works facility. The new 1,000-square-foot facility, managed by Clemson’s Center for Advanced Manufacturing, houses a GE Additive Concept Laser M2 Cusing direct metal laser melting and two other industrial 3D printers, incorporating both metal and polymer technologies. Automotive engineering grad students will gain first access to the new lab for their work in creating a car. “We know advanced manufacturing will continue transforming business around the globe and we’re leaders in the field,” said John Lammas, Chief Engineer and CTO of GE Power. “By partnering with Clemson, a South Carolina top public institution, we will be able to train students from one of the country’s leading institutions to be the next generation of engineers, furthering their education and preparing them to move additive manufacturing forward. Rize and Dassault Systèmes deepened their relationship this week, with some interesting implications. The team at Rize has a long history with SOLIDWORKS; some of their execs, for example, came straight from the popular software company. The relationship goes even deeper now with two announcements made at SOLIDWORKS World. 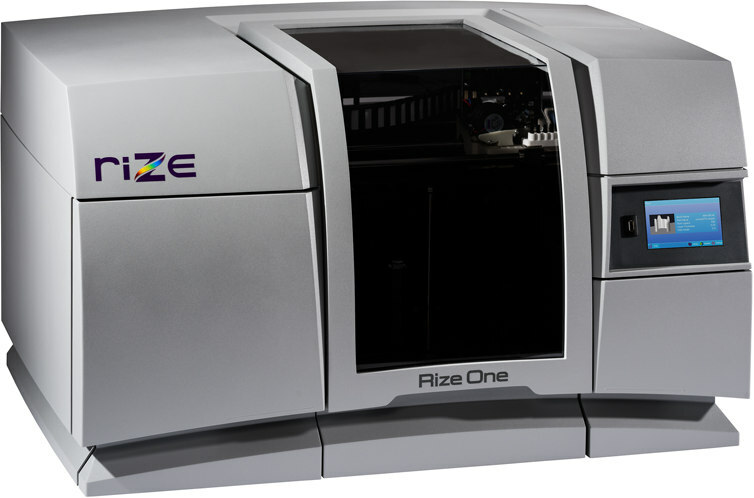 First, the partnership will see every sale of the RIZE ONE 3D printer through the end of 2019 include a license for SOLIDWORKS. 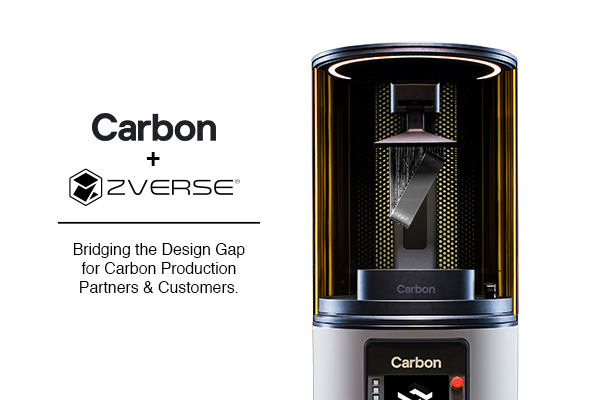 Not only does that save users the license fee, it showcases a strategic partnership that highlights the importance of design for additive manufacturing (DfAM). And it doesn’t stop there: Rize has also just become SOLIDWORKS parent Dassault Systèmes’ first hardware investment in 3D printing. Dassault Systèmes joins three other new investors in a $15 million Series B round. The money is important, Rize President and CEO Andy Kalambi told me when we spoke in Dallas, but it’s the relationship that really matters here. SOLIDWORKS VP of Business Development and Strategy Suchit Jain added in another conversation that we can expect to see more direct strategic partnerships between the software giant and 3D printing hardware companies as more integration is needed to continue to drive progress. “Our strategy is to expand the adoption of industrial 3D printing. This funding by a deeply respected group of diverse global investors validates our approach to make it a mainstream application within the enterprise. It is gratifying that our investors share our values of inclusive and sustainable innovation by making industrial 3D printing safe, easy and affordable. With the support of our investors, we will expand the usage of industrial 3D printing across all the functions: design, engineering, manufacturing, supply chain and service,” Kalambi said in the announcement. Stratasys’ SWW announcements included a new software feature and new autosports partner. 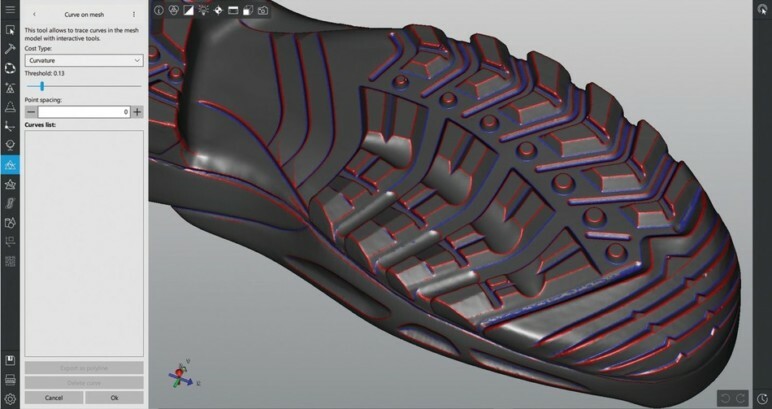 GrabCAD Print welcomes a new feature with Advanced FDM. 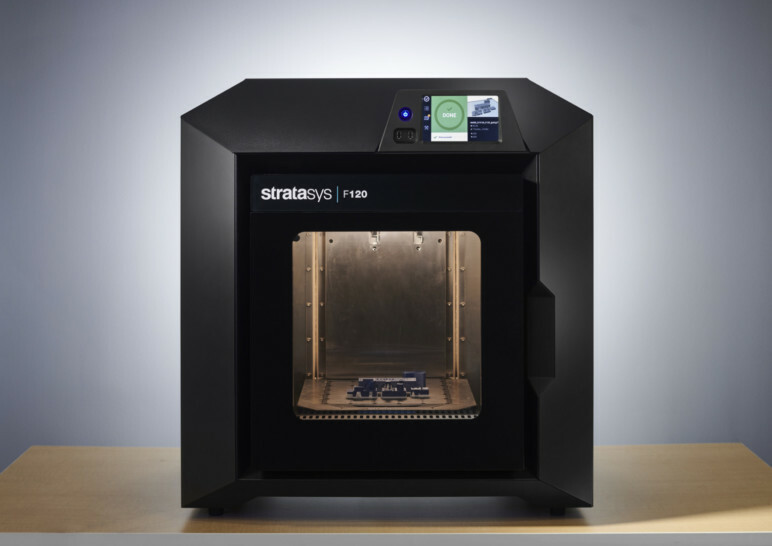 Cutting out the middleman in a typical CAD-to-STL workflow in 3D printing, Advanced FDM can now, working with several of Stratasys’ FDM 3D printers, enable a higher-fidelity process intended to speed design-to-3D-print workflow. Stratasys isn’t the only big player to introduce software advances at SWW this year, which is a good sign for users. Continuing work in the automotive industry — a popular theme this week, as Carbon also announced end-use parts that Lamborghini is 3D printing — Stratasys introduces work with Andretti Autosport. 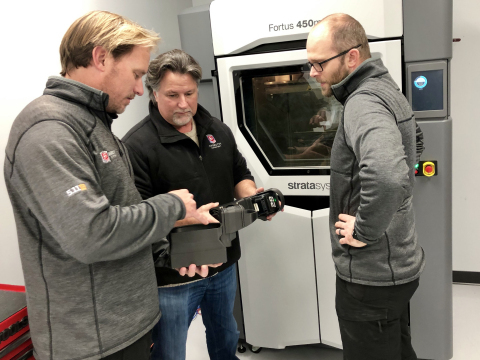 3D printing is playing an ever-increasing role in the racing world, and Andretti is putting the tech to use for both prototyping and end-use parts. Transportation partnerships are taking off with 3D printing, and they’re not all on four wheels. 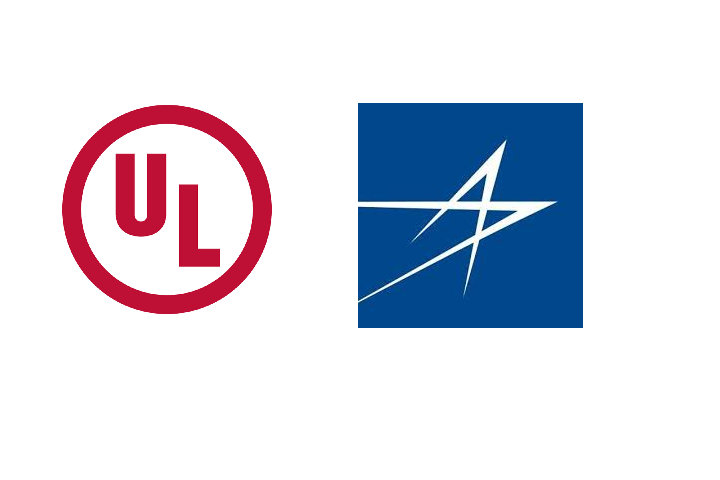 Ultimaker will be supplying Ultimaker S5 3D printers, Cura software, materials, and services for Airbus’ use in European (and, later, global) operations. Airbus has a long history with 3D printing, so the move is very logical for the aerospace giant. Ultimaker’s desktop technologies will be put to use primarily for the “direct, local production of tools, jigs, and fixtures, and printing lightweight design parts with composite materials,” the announcement notes. “We are very proud that Airbus selected Ultimaker. 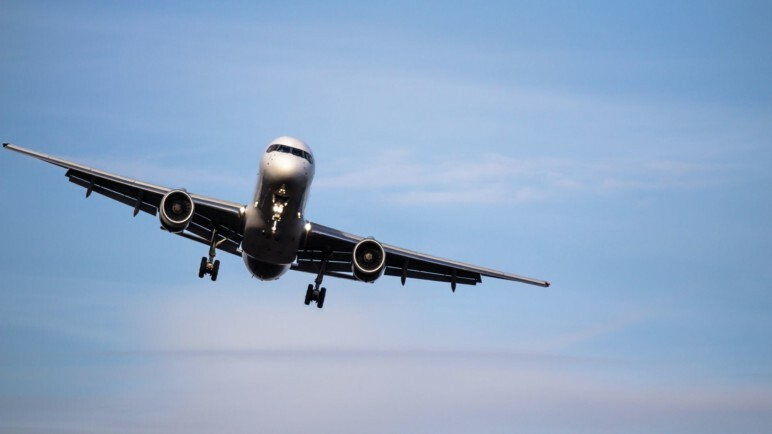 Strict rules regarding safety and certifications can make manufacturing and model-making workflows complicated, especially for engineers in the aerospace industry. I am glad that our certified solution and the possibility to print with composite materials enables these engineers to keep innovating. The team at Airbus can fully rely on our dedicated global sales and partner network for full support,” said Jos Burger, CEO of Ultimaker. Another company exhibiting at SWW was Desktop Metal; last year the company debuted Live Parts software, and this year it’s the launch of 316L stainless steel. Desktop Metal’s Studio System is shipping now, and users are welcoming new material introductions. 316L is a well-known steel featuring corrosion resistance and strong mechanical properties at extreme temperatures, expanding the applicability of 3D printed parts in harsh environments. 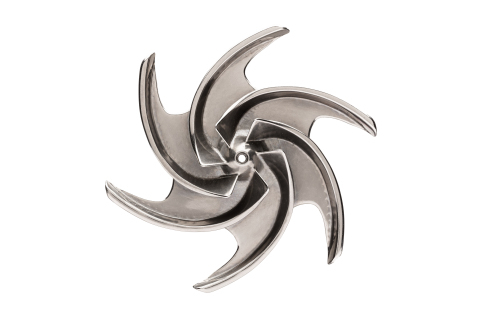 The company points to a few early applications, including a combustion fuel nozzle for marine tankers, a customized ring splint for medical use, and an impeller (image above) for use in harsh environments. Studio System users looking to 3D print stainless steel can now choose from 316L or 17-4 PH types — or branch out from stainless and look to tool steels, superalloys, or copper among the 30+ other materials in development. 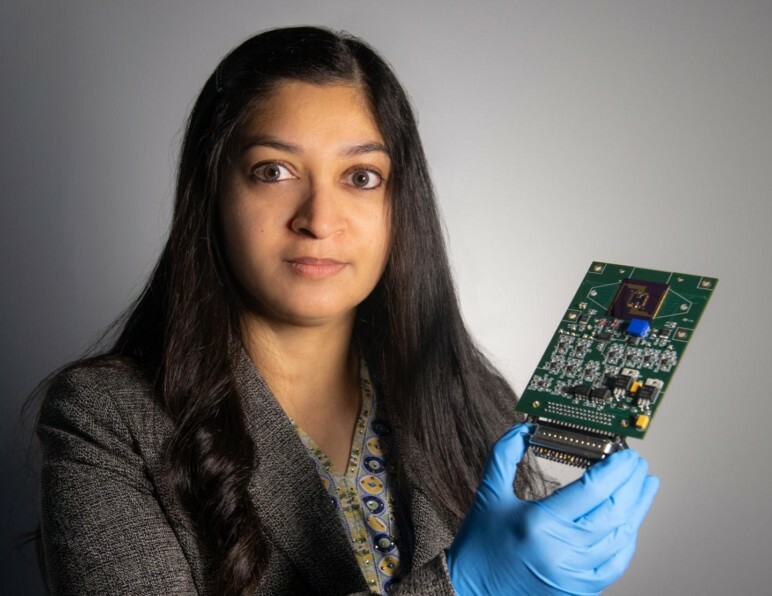 NASA technologist Mahmooda Sultana is putting a $2M technology development award to use in creating a tiny sensor platform. The nanomaterial-based detector platform is a bitty piece of tech that could have wide-ranging applications, sensing gases, vapor, atmospheric pressure, temperature, and other environmental circumstances (think water or methane on Mars) and sending that data through a wireless antenna. The 2” x 3” platform is self-contained — and 3D printed. 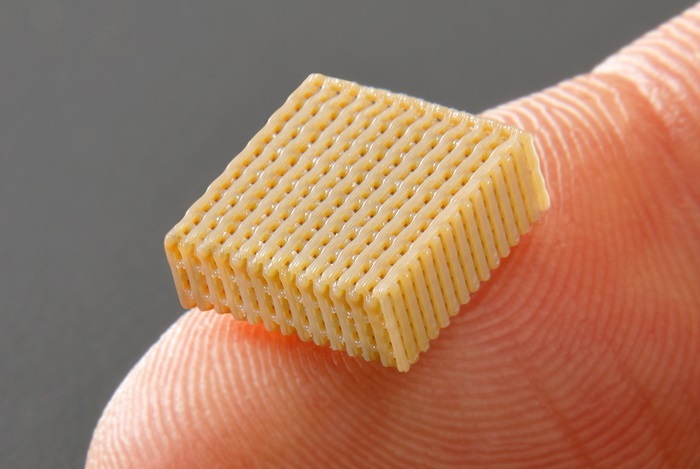 It relies on a 3D printing system called the Nanoscale Offset Printing System created at Northeastern University that 3D prints nanomaterials to make the wee sensors. 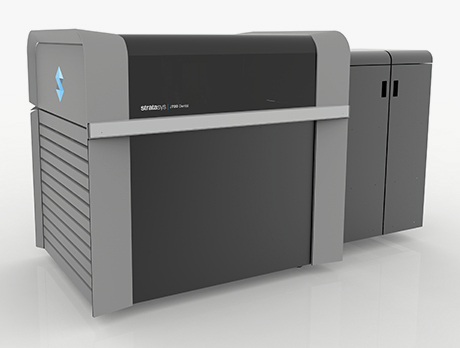 Xerox joins the ranks of printing companies adding 3D to their traditional 2D technologies. As part of its Investor Day this week, Xerox announced some major strategic moves. Among these were a series of focuses on innovation to bring the company back to a leadership position in tech. Fulfilling a statement made by CEO and Vice Chairman John Visentin in an October 2018 earnings call, Xerox has officially made a move into 3D printing. As part of a digital manufacturing strategy, Xerox is looking to commercialize polymer and metal 3D printing. Targeting low-cost, high-speed polymer and low-cost metal technologies, the company is already moving ahead in its vision. 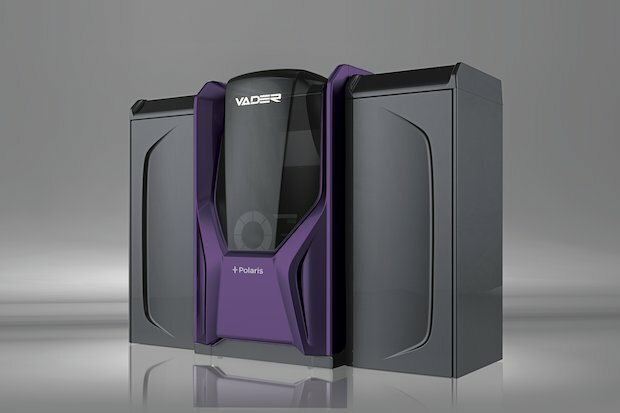 As part of its roadmap in 3D printing, Xerox announced the acquisition of Vader Systems, a company that had created a unique metal 3D printing process that uses standard welding wire to keep materials costs low. According to its three-year roadmap, Xerox anticipates revenue generation from its innovation targets in 2021, including 3D printing, AI and AR, IoT, and more. Terms of the Vader acquisition have not been disclosed. A new standard from UL shares much-needed protocols for 3D printing. Covering 3D printers used in “non-industrial indoor spaces” like schools and offices, the new measure should provide a measure of comfort for those running desktop machines. Emissions have long been a concern in 3D printing, particularly because no one quite knew how they might affect health. A safe operating environment is imperative for use of any equipment, and thorough research has been much-needed. 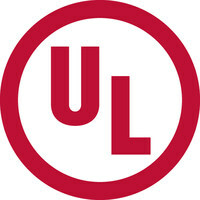 Among that research are results from UL Chemical Safety and Georgia Tech, published in November 2018 following a two-year research period. These findings showed that ultrafine particles (UFPs) are generated by many desktop 3D printers, and more than 200 volatile organic compounds (VOCs) can be released. Understanding how to best operate the 3D printer, including calibration (e.g., nozzle temperature) and using different types of filament, can lead to a safer operating environment. New releases of two software solutions from 3D Systems have been released to the SOLIDWORKS community. Geomagic for SOLIDWORKS 2019 and 3DXpert for SOLIDWORKS 14 are available now. Both are targeted to SOLIDWORKS users to “streamline 3D scan data workflows and optimize and prepare part designs” for both plastic and metal 3D printing. Timed just ahead of SOLIDWORKS World 2019 (more on that later), the releases showcase 3D Systems’ ongoing commitment to software. 3DXpert for SOLIDWORKS, a SOLIDWORKS add-on, was introduced at last year’s SWW event. More detail on the capabilities of both software releases is available here. “3D Systems’ end-to-end software solutions are a catalyst in the product development cycle. 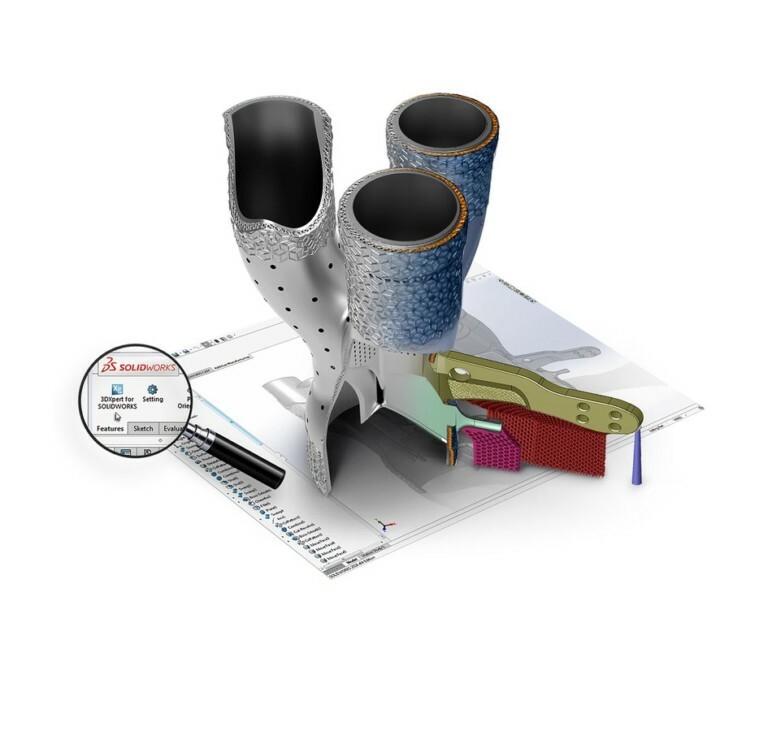 With the new releases of Geomagic for SOLIDWORKS and 3DXpert for SOLIDWORKS, 3D Systems is reinforcing our commitment to the SOLIDWORKS community to streamline digital product design as well as making additive manufacturing an integral part of the workflow – increasing efficiencies and lowering total cost of operation. The power of these software solutions to transform business is what delivers true competitive advantage,” said Radhika Krishnan, Senior Vice President, General Manager, software, 3D Systems. 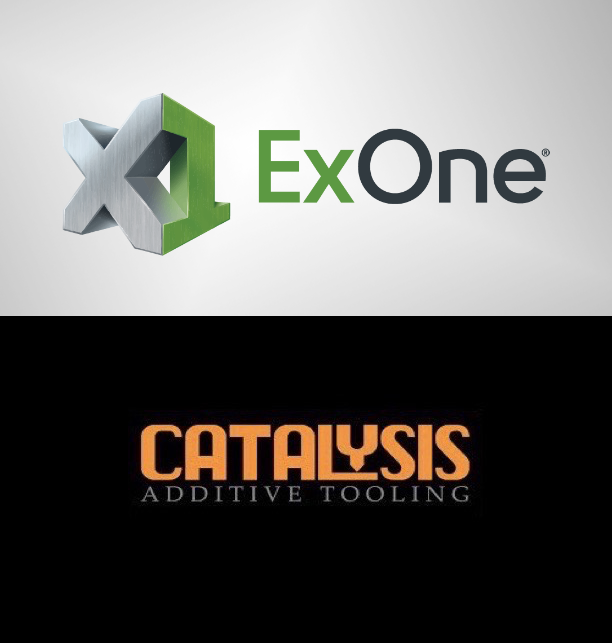 ExOne and Catalysis announce a tooling collaboration, while Rize and Instadesign Group partner. ExOne has announced its collaboration with Catalysis to create a new rapid tooling process. A 3D printed sand mold, made using ExOne’s binder jetting tech, is coated to create a reusable tool to traditionally create (e.g., via injection molding, vacuum forming, casting) parts. 3D printing to create the tools allows for more complex tooling design, and binder jetting, in particular, offers the speed, cost, and volume a busy company requires. Rize is going to Quebec with its newest partnership. Days before SWW begins, Rize announced its newest authorized reseller, Instadesign Group. The new Laval, Quebec-based reseller is a SOLIDWORKS Certified Solution Partner experienced in engineering and industrial design. The multifaceted company’s services include product design, industrial design, mechanical engineering, electronic development, and software services, as well as support. One of the most enthusiastic events in software is coming to Dallas. 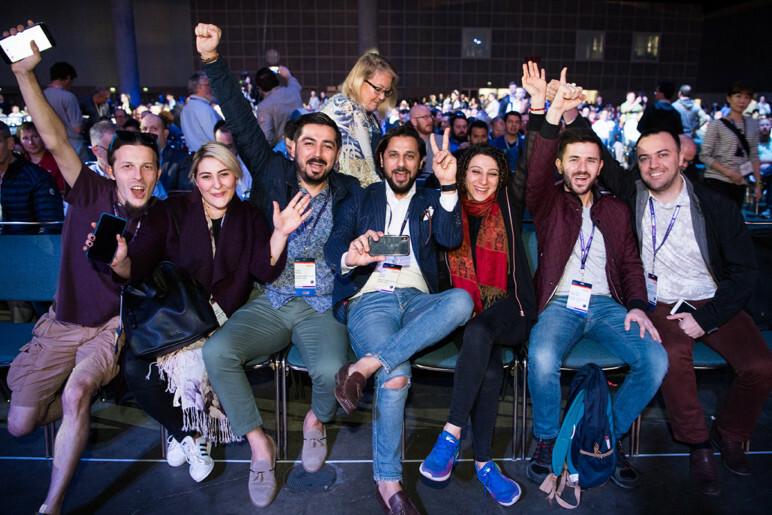 SOLIDWORKS World (SWW) 2019 runs Sunday, February 10 through Wednesday the 13th in the Lone Star state. One of the most popular software programs draws a crowd of thousands to this event each year, and the programming continues to feature an increasing presence of 3D printing. Exhibitors include 3D printer manufacturers as well as many companies that have put 3D printing to use in their product development processes. It’s all packaged together in an engaging agenda, with an always-rowdy general session kicking off each morning. Previous years’ general sessions have featured SOLIDWORKS-designed robots (that then battled each other), magic setups (would you trust your life to something designed in SOLIDWORKS? Dassault Systèmes’ CEO did in a magic trick featuring a saw two years ago), a movable feast, a full-body exoskeleton, and much more. The ubiquitous software has been used to create these and many more varied products, and we tend to hear some good new software news as well. Last year, for example, Desktop Metal introduced its Live Parts offering at SWW. License: The text of "3D Printing Industry News (Weekly Digest – April 19, 2019)" by All3DP is licensed under a Creative Commons Attribution 4.0 International License.